Has anyone replaced this sensor? I'm have a P0420 DTC that comes and goes and about due to replace the O2 sensors. The SM says the cradle has to be lowered to replace this one, that would complicate things a bit. It's a matter of what tools you can get in there. 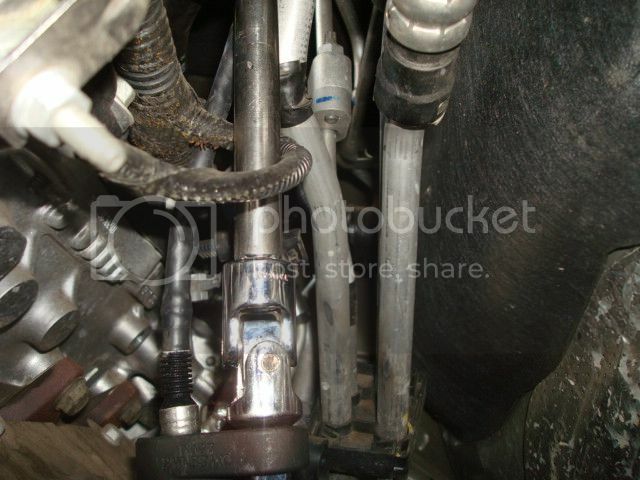 Socket or crowsfoot sensor wrench or anything that will get it out. For the P0420 replace the after cat sensor first before trying to tackle the pre cat one. After replacing many O2 sensors thru the years this trick has helped me the most. Cut the wires and connector off the old sensor first. Then you can get a regular socket on what's left and get a good grip on it. Use wobbles and extensions if necessary. I have both tools, just worried there might not be room to get it out. I'm also planning to replace all 4 as they are supposedly due. I didn't expect cooperative weather today, but it was good enough to get the other 3 sensors replaced. The one with the best access is B1S2, real easy to get at after you remove the pass side wheel. Which was a good thing because I had to cut the wires and hit it with a 1/2" impact to break it loose. The other two were just awkward to get at. B1S1 is still in there, can't see it at all from above and only just barely from below. Clearly that one is not gonna be easy. Oh, the shop manual says to drop the suspension cradle if AWD. Object ID: 2197495Click here for detailed picture of the image. Caution: Refer to Heated Oxygen and Oxygen Sensor Caution. Caution: Refer to Fastener Caution. 1. 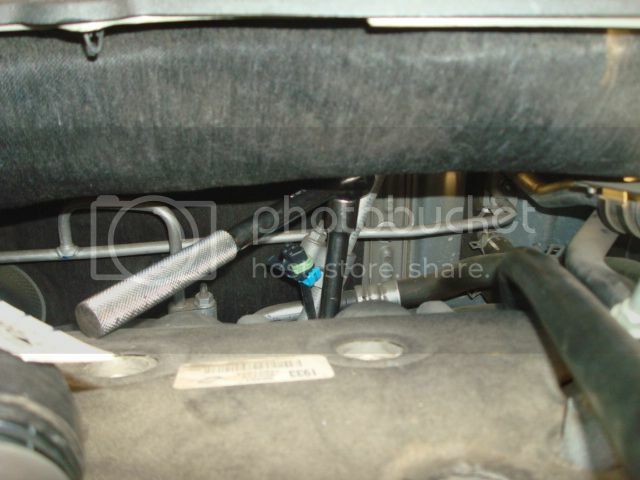 Disconnect the heated oxygen sensor harness connector. 2. If reinstalling the old sensor, coat the threads with anti-sieze compound. Refer to Adhesives, Fluids, Lubricants, and Sealers. Tip: A special anti-seize compound is used in the HO2S threads. The compound consists of liquid graphite and glass beads. The graphite tends to burn away, but the glass beads remain, making the sensor easier to remove. New, or service replacement sensors already have the compound applied to the threads. 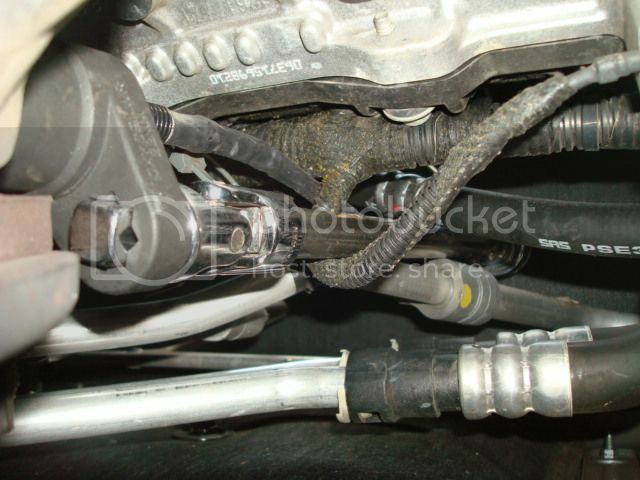 If the sensor is removed from an exhaust component and if for any reason the sensor is to be reinstalled, the threads must have anti-seize compound applied before reinstallation. I'm also planning to replace all 4 as they are supposedly due. On my 2010 Traverse, I replaced all 4 at 100,000. I had no issues with the factory units. No CELs or anything. But- didnt want them getting lazy... and ruining cats. im guessing the hard one is the one by the firewall? maybe this will give you a clue---- from my 2010 TRAVERSE. looking from the top, engine cover removed, intake manifold visible--- and firewall visible..
this is from bottom of vehicle, looking up- at the tool coming down from engine bay. engine on one side, firewall on the other... and crowsfoot doing its thing.. So yours was vertical from the exhaust manifold? That is the way the SM depicts it, yet mine is horizontal from the manifold, toward the pass side. You have a 2010, right? Do you have the 3.0L V6? That might be the difference.